With summer fast approaching we’re already thinking about holidays, day trips, alfresco dining, festivals, theme parks, beer gardens and all the new summery clothes we’ll need to see us through the season - unfortunately this all comes at a price. Knowing I need to save a few pretty pennies for summer myself, here’s a few quick things I’ve done lately that have already started to fill the summer piggy bank. It pains me, as a blogger to do this, even more so to suggest it, but it’s the little luxuries that go first to make the bigger luxuries affordable. From beauty subscriptions to cute knick knacks and snacks, just have a look at how much all of your subscription boxes are costing you each month? I love samples but I always find myself drowning in them! Cancel your subscriptions and put the cost to fewer, more luxuriant full-sized products over dozens of small samples. Go have a look at your current bank balance. Let’s say it says you have £103.74, take the odds, the £3.74, and transfer that into a savings account. I like to round everything to the nearest £5, so if I had £107.74, I’d transfer £2.74 into my savings account. It doesn’t sound like a lot but just check your balance once a week and in a couple of months you’ll see a nice little boost to your savings. Pick a date, either on or around the time you get paid each month and automatically transfer a set amount into your savings account. It’s a killer at first and you will really notice that money not being there, but after a couple of months you actually get used to not having that money. Its amazing how quickly this can build up too! I started this back in January and 6 months on I’m finally making a dent in my beauty and skincare stash, so much so I’m on the verge of being able to buy new things. We’ve all got these stashes, built up over time thanks to magazine freebies, subscription boxes, Christmas gift sets and goodie bags, not to mention blogging related PR samples. Use them or lose them. I found 5 eye creams in my stash back in January - I’m now down to two. One I got rid of, another I’ve used up. I won’t be buying any until the last is used up. Want a new foundation? Either use us the one you have or get rid of it. Moisturiser? Face wash? I found I was reluctant to get rid of anything I’d paid good money for it there wasn’t actually anything wrong with it. If it was something I’d had a bad reaction to then find, out it went, either to a new home or in the bin. When it comes time to replacing something you’ve used, you’ll have saved up so much extra ££ you could possibly afford to splash out on something a little more luxuriant! I used to buy clothes without trying them or, or having an occasion for them. I would buy them because they were on sale, too cheap to leave behind. If I got home and something didn’t fit, it never went back to the store. I just told myself I’d make it work someday and into the back of the wardrobe to Narnia it went. I don’t even want to know how much money I’ve wasted over the years! So I’m trying something new. For every new dress I buy, or pair of jeans, or set of underwear, I have to part with something in my wardrobe. Not only does this make me more selective about what I buy, but I’m building a wardrobe filled with pieces that I love. Nothing is bought on a whim and everything is tried on before I leave the store. I’m looking for pieces that will last, so I’m investing a little more in the hope I won’t have to replace it anytime soon so, in theory, it should save me money in the long run. Can you hold out just that little bit longer before clicking buy? Can you hand back a week or so and see if there’s a sudden flash sale? A discount code? A special offer? If you don’t need it ASAP, then hold on just a little longer. Check back daily and once the deal seems almost too good to be true, bag that bargain and pocket the difference! 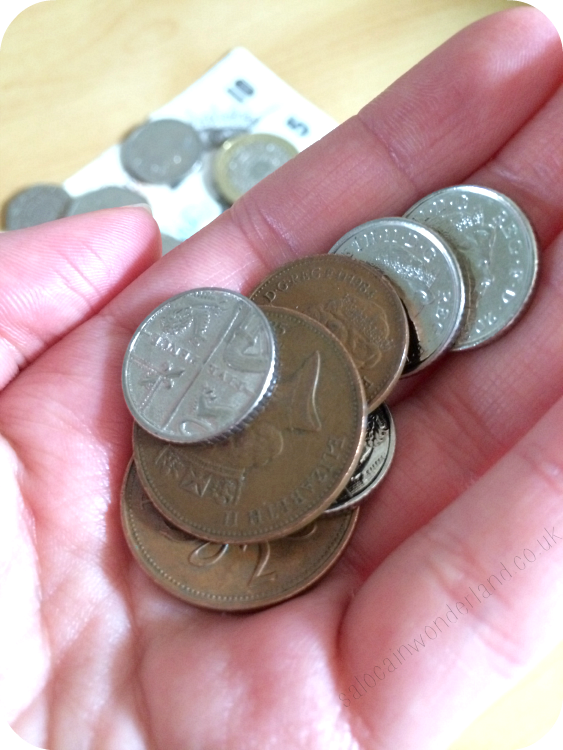 What changes have you made in order to save for summer? Let me know in the comments below! Spending bans work wonders - as long as you can stick to it! I found it so hard at first but now it's just become the 'norm' for me and I can't imagine going back to how I used to spend! Great tips! It's amazing how much you can save by cancelling subscription boxes. I miss those little boxes of fun falling through the doorstep each month but I have found there are better things, more fun and unique experiences to spend that money on! Plus, I'm no longer drowning in product samples and empty but too cute to throw away boxes haha! It really does make a difference! 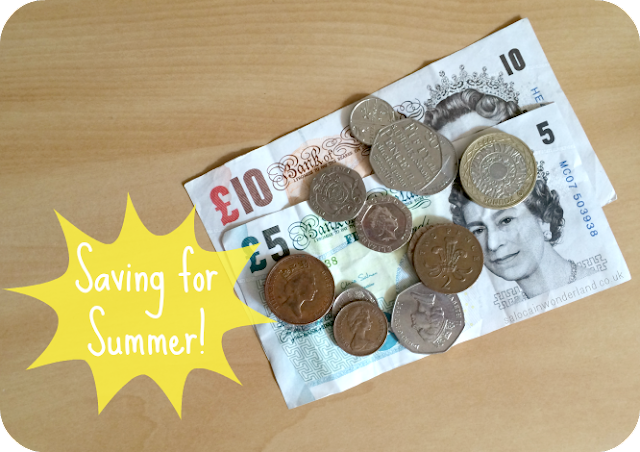 Even just doing one or two things on the list will help you get some extra pennies together for summer! I also love the idea of stashing the odd's sounds so simple, but even when i calculate my money in my mind I also round it down so I should just make that my balance! Excellent idea I had never heard of! Don't feel bad for cancelling your charity donations, charity starts at home and you've got to be able to look after yourself before you look after others. In time, you'll find yourself in a better position financially and be able to give to the charities closest to you heart, whole heartedly! My friend told me I should sell things on ebay! I keep meaning to look into it but it's just so much easier to take unwanted clothes to the charity shop!